We lost the battle, but the war rages on. I guess one can never take legislation for granted, as I had actually gotten to the point in my reasoning where I just assumed it would be repealed. I just assumed that given the media scrutiny, the administration's backing of repeal, and the call for change by the people...I assumed that would be enough. I could blame Republicans for legislating morality. I could blame Democrats for not being smarter about the vote's timing. I could blame you and me for not making our voices heard in enough time. I could blame the sky for being blue and the grass for being green and the seasons for changing, but nothing would be different. We would still be living in a day where DADT is still a law on the books. But, now we band together. We continue the fight. We do not stop. We take nothing for granted. On a Pagan note: Today is MABON!!! For me, today is all about getting ready for the fall. Putting Samhain/Halloween decorations out. Maybe doing a bit of harvesting from the herb garden. I'll make a harvest feast for my family. I wish you all the most blessed Autumnal Equinox. May you find a sense of balance and progress as we move through the Wheel. 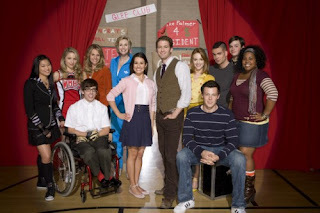 On a Gleeful note: The season premiere of Glee came on last night!!!!! Yeah!!! Life is right again! Charice and Lea Michele facing off in the bathroom while singing Telephone was simply...Epic. Next week is the amazing Britney episode! My socks have already been knocked off a week early. 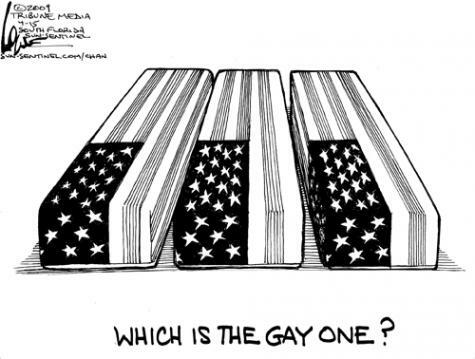 A Federal judge found DADT unconstitutional, and could issue a permanent injunction tomorrow. We may be getting rid of this law very soon.